Zig Ziglar is well know for his “automobile university” comments in many of his talks. Zig’s idea is that you listen to self improvement, business building, motivational, or spiritual types of lectures on CDs while you are driving your vehicle each day. I loved the idea the first time I heard it, but the truth is that I don’t really spend a lot of time in my car! In fact, I’m probably not in the car on most days for more than a few little bursts at a time here and there, so automobile university is not something that would work well for me. It would probably take me over a week to get through just one CD! However, I do take an hour long walk almost every day, so I just load up my iPod with lectures that interest me and off I go! I guess you could call it “walking university.” Some days, I learn a ton of great information. Other days, I just learn bits and pieces. No matter what, I always learn something and finish my walk totally pumped up and jazzed to live life to its fullest and to take my business to the next level! Today was different. The lecturer seemed polite and even somewhat knowledgeable about her industry, but everything she said was just so sour and such a downer. Gloom and doom this. Gloom and doom that. Unfortunately, this went on for a full hour … the length of my entire walk! Just her two cents. Remember that the next time someone says something that could easily derail you from your mission. 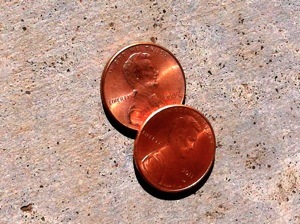 It’s just their two cents! You gave a talk at McNeese Univeristy (LA) this semester. I was writing a report on your seminar and came to your blog. This post literally made my day. Thanks.